switchgear ESS Metron designs and manufactures custom UL891, UL1558, and UL50 low voltage switchboards/switchgear, and UL1773 bus gutter/tap box solutions. We offer automatic transfer, generator paralleling, co-generation, utility metering, and custom PLC controls integrated switchgear to meet specific customer requirements. 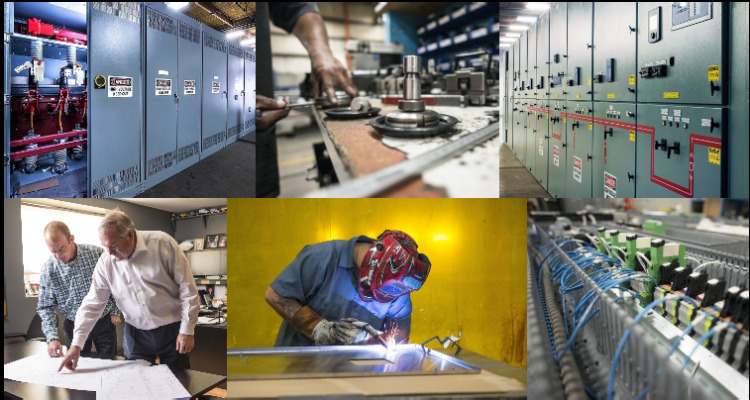 switchgear ESS Metron manufactures medium voltage switchgear to meet or exceed all applicable ANSI/IEEE and NEMA standards. UL listing is available. 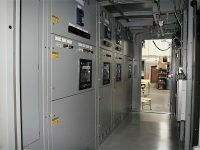 Metal clad switchgear is available at voltages of 5kv and 15kV at amperages of 1200A, 2000A, 3000A, and 4000A. centers ESS Metron offers Power Distribution Centers (PDC) to enclose and protect electrical equipment. Equipment includes, but not limited to, low and medium voltage switchgear, motor control centers, PLC/custom controls, variable frequency drives, etc. All equipment is fully integrated and tested prior to shipment. substations ESS Metron offers portable substations on a structural steel base containing incoming switch or breaker, step down transformer, and secondary switchgear. Designs for any incoming voltage, any secondary voltage, and transformers of cast coil, oil filled, or dry type available. Substations are completely portable. Listed under UL 891 Switchboards, our Low Voltage Walk-in Switchboard is a drop in, turn key solution, boasting 5 vertical sections and NEMA 3R walk-in, providing safe, reliable, and quality switchgear. As one of the world's leading designers and manufacturers of power solutions, ESS Metron has produced the highest quality products for the most demanding applications and environments known. Offering standard product designs that can be configured specifically to your requirements as well as design and engineering resources to provide customers with a virtually endless array of possibilities.